Today sees the launch of the April Edition of the infamous Victor magazine featuring a major 16 page article on the work of UK based commercial photographer Tim Wallace. Today sees the launch of the April Edition of the infamous Victor magazine featuring a major 16 page article on the work of photographer Tim Wallace. Tim Wallace flew out to Hamburg as a guest of the World famous Victor magazine recently in Germany for two days to be interviewed by the magazine as he has been selected to be profiled for his work and creativity in the field of automotive photography. In keeping with the Hasselblad philosophy of developing products of outstanding quality that are ahead of their time, and celebrating the 100th anniversary of Victor Hasselblad’s birth, the magazine showcases the work of selected photographers from around the World and looks in depth at who they really are. 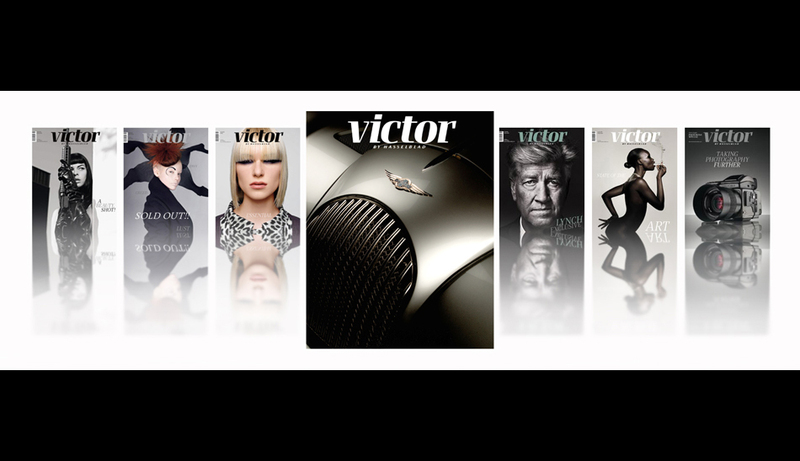 Victor is regarded by the professional community as a both exciting and visually stimulating magazine in a large, professional format, and it has proved a huge success amongst top class photographers since its launch in the autumn of 2006. Recently in order to allow a wider audience to enjoy this exclusive publication in the future, Hasselblad announced that Victor would be launched in an online version – providing all the content and all the quality of the paper version, plus the advantages of an online publication with an interactive media facility the enables readers to search all articles and content from the current issue, access tutorials and behind the scenes videos as well as Victor Podcasts. In addition, those wishing to get closer to some of the world’s finest photography will be able to zoom in on image details thanks to the large format quality of the online PDFs that are made available to subscribers. The magazine is very much seen to be one of the most exclusive and desirable publications within the photography community and each year receives requests from over 3,000 professional photographers to have their work viewed and considered for publication.